Everyone’s Irish on Saint Patrick’s Day, at least when it comes to the food, right? I mean, how could you not be with all the good eats involved in a Saint Patty’s Day meal? Best thing is, it produces some yummy leftovers and makes for some delicious creations for days after. In years past, we enjoyed making breakfast hash with the leftover meat and veggies and of course, sandwiches are always on deck for lunch the next day. But last year, I gotta say, I took leftovers to a whole new level. I totally kicked it up a notch and created a stuffed sandwich that’s crazy delicious and so simple to make. 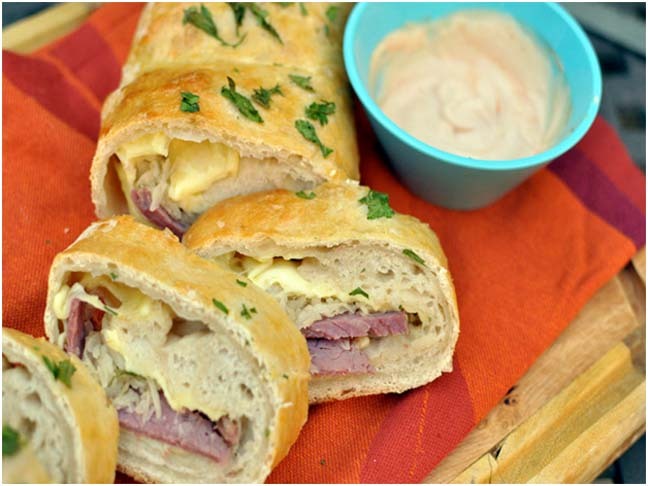 This recipe was inspired by two of my childhood favorites: the reuben sandwich and stromboli. A reuben is a grilled sandwich made with rye bread, sliced meat (usually corned beef) sauerkraut, swiss cheese and creamy russian dressing. And a stromboli is a baked roll made by wrapping pizza dough around any combination of meat, veg or cheese and baking it in the oven. Seems like a funny combination of Ireland meets Italy combination, right? Something just told me that it would be fun to put these two classics together and create a rolled sandwich using Sain’t Patty’s Day leftovers. Turns out, the combination is killer. Serve alongside a dipping sauce of Russian dressing and you got yourself one hellova meal. Not only are they delicious but their portability make them excellent lunchbox fare. Hope you had a happy Sain’t Patrick’s Day, all! Preheat oven to 375 degrees. 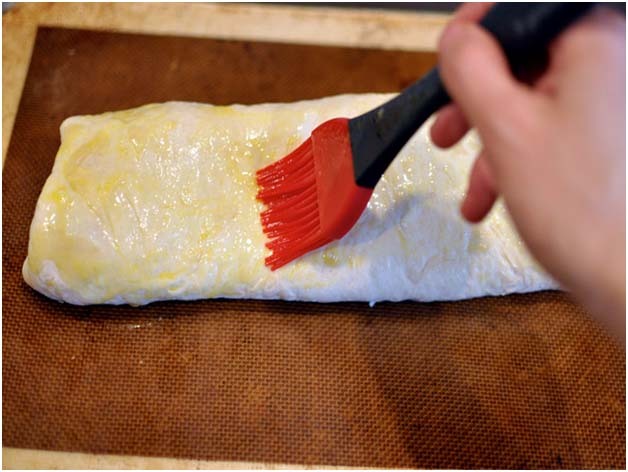 Line a baking sheet with parchment paper or a Silpat liner and set aside. 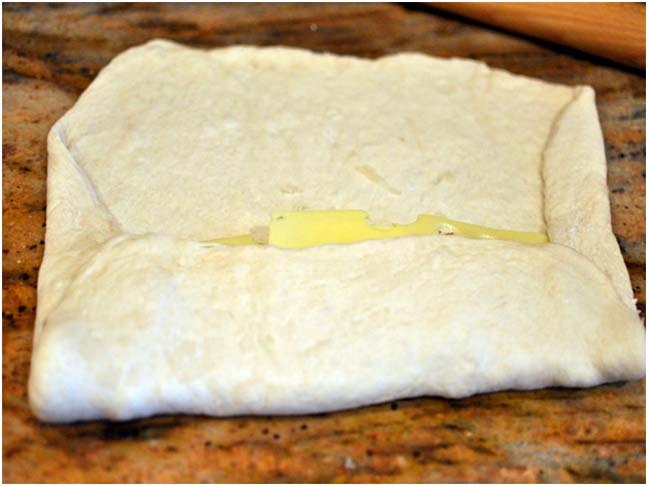 On a lightly floured surface, roll out pizza dough into a large rectangle. Layer half of the sliced cheese towards the bottom third of pizza dough. 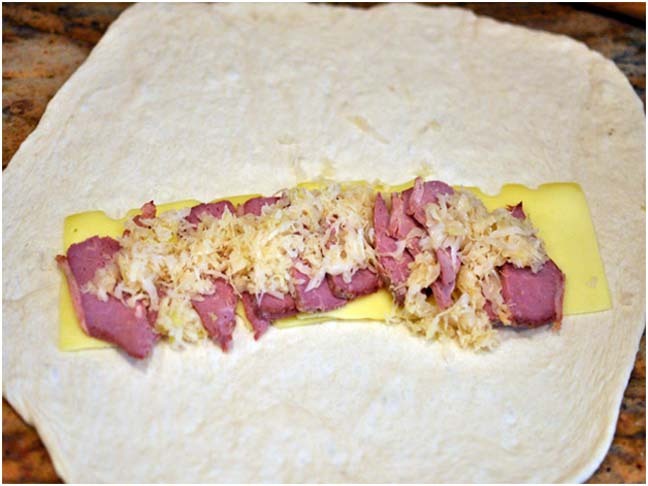 Top with sliced corned beef and then evenly distribute sauerkraut over the meat. 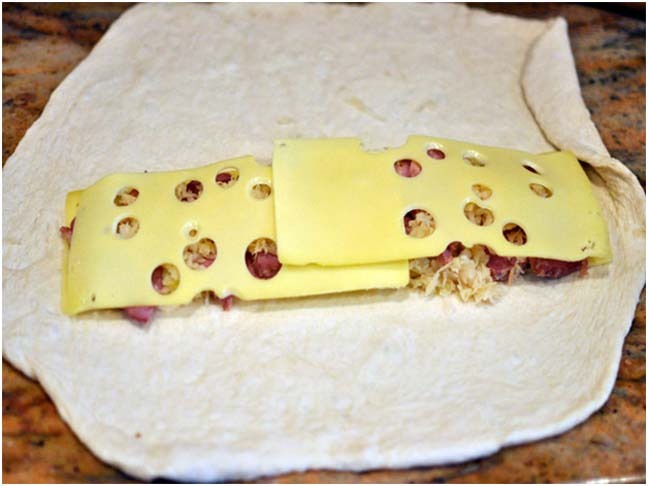 Top with remaining slices of cheese. 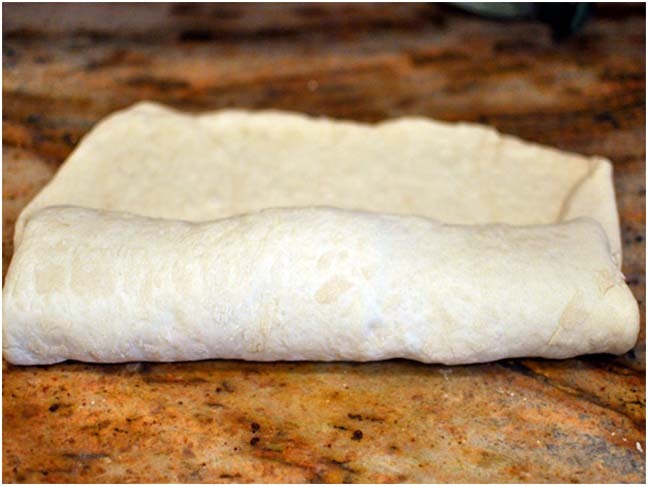 Fold sides of dough over filling, then roll it up jelly roll style. 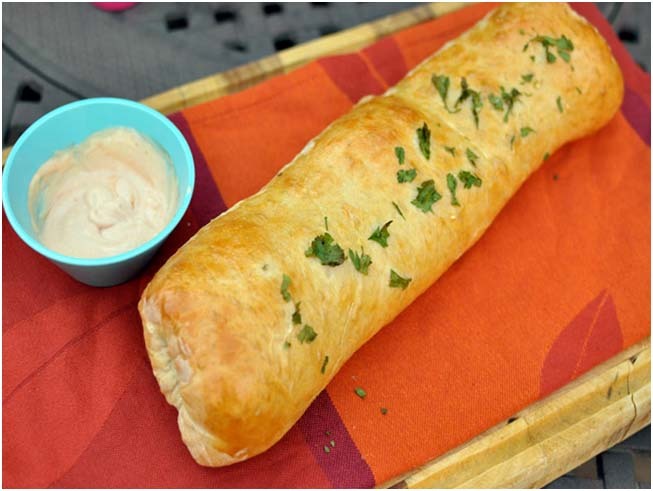 Place stromboli onto prepared baking sheet, seam side down and brush with egg wash and sprinkle with parsley. Bake for 20 minutes or until stromboli is golden brown. Allow to cool for 5 minutes before slicing and serve with russian dressing. Enjoy!